With its confluence of academics, international accessibility, culture of collaboration, many startups and access to capital, Montreal may be poised to become the next Silicon Valley. This might be especially true given the current America political climate hostile to the international cooperation on which research institutions and technology companies thrive. Montreal is benefitting today from a long-term commitment by the Canadian government to fund AI research. These scientists are a big pull for Canada to attract students and the many big technology companies who have opened research labs in Canada, especially in Montreal and Toronto. These include: IBM AI Lab; Facebook AI Center (FAIRE); Google AI Lab; Microsoft (acquired Maluuba in January 2017); Tencent, via an investment in Element.ai; Intel, also via Element.ai; Google DeepMind Center; Samsung AI Center; Thales Centre of Research & Tech in AI; the RBC (Royal Bank of Canada) Borealis AI Center; Uber AI; ADM AI lab (opening soon); NVIDIA, SunLife, Adobe; LG, Fujitsu; and TD (Toronto-Dominion Bank)/Layer 6. “We are just starting to see the fruits of the results of all this research in the form of companies with business models and platforms incorporating AI,” Arsenault said. Advances in chip design and availability of compute power via the cloud are also enabling the rush. “This was not possible five or 10 years ago,” Arsenault added. “Montreal has the largest concentration of deep learning academics in the world. This attracts some of the best students, postdocs, professors, researchers, engineers and entrepreneurs interested in contributing to the ongoing AI revolution,” Dr. Bengio stated. The Canadian government’s commitment to AI is exemplified in its support for MILA. The government of Quebec recently allocated $80 million over the near five years to support its growth, and the federal government’s Pan-Canadian AI Strategy unit has granted MILA $44 million to supports its activities. The MILA mission is to attract and retain talent in the machine learning field; to propel advanced research in deep learning and reinforcement learning; to transfer technology by supporting private AI startups and established businesses; and to contribute to the social dialogue and the development of applications that benefit society. 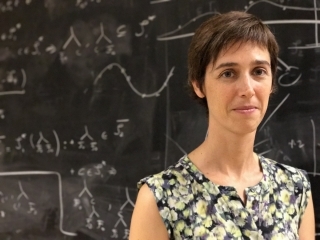 The new Facebook Artificial Intelligence Research (FAIR) in Montreal will be led by McGill University professor Joelle Pineau, a member of MILA. The plan is to employ research scientists and engineers engaged in a wide range of projects, with a focus on reinforcement learning and dialog systems. Technical talent in Montreal is attracted to companies who offer a chance to publish papers and “do something good for humanity,” in the words of Patrick Poirier, chief technology of startup Erudite AI. “Trying to fight for talent with pure cash is a losing bet for startups in Montreal,” he told Daniel Faggella, the founder of Tech Emergence, a market research company focused on AI and machine learning, who spent 12 days visiting AI related ventures and executives in Montreal last year and wrote an account of his conclusions. The Montreal culture, lifestyle and relatively low cost of living compared to other urban tech centers such as San Francisco and Boston, is also attractive. One technologist who made the move from Silicon Valley to Montreal is Maxime Chevalier-Boisvert, who returned to Montreal in mid-2017 after working at Apple for 13 months, according to an account in the New York Times. She had an opportunity to work with Yoshua Bengio at MILA and could not pass it up. Her title at MILA is Architect of Imaginary Machines. While her salary was about one-third of what she made at Apple, her rent for a two-bedroom apartment in Montreal was less than a third of the monthly rent she paid for a one-bedroom apartment in Sunnyvale. “Living in Montreal is pretty good,” she stated. The Montreal AI culture has also attracted investments from those concerned with the social impact and risks of AI. The Open Philanthropy Project in July 2017 awarded $2.4 million to MILA to support “technical research on potential risks from advanced AI,” stated the announcement from OPP, which has a focus area on Global Catastrophic Risks that includes advanced AI. The OPP’s two primary aims are to increase high-quality research on the safety of AI, and the number of people knowledgeable about both machine learning and the potential risks of AI. Montreal’s diversity of culture is also helping to attract talent. Dr. Alexandre Le Bouthillier, founder of machine vision healthcare company Imagia, observed that most talent in Montreal’s AI community is foreign-born, with his own team coming from all over the globe. “Smart people know that talent attracts talent,” he has stated. Montreal and Toronto are benefitted from a Canadian immigration strategy consistent with the country’s AI initiative. Canada launched a fast-track visa program for high-skilled workers in the summer of 2017. Today, foreign students make up 20 percent of all students at Canadian universities compared with less than five percent in the US, according to a recent account in Politico written by two University of Toronto professors, Richard Florida and Joshua Gans. Canadian immigration law also makes it easier for foreign students to remain in Canada after they graduate. Since the election of Donald Trump as US president in November 2016, applications to Canadian universities have spiked upward. International student applications jumped 70 percent in the fall of 2017 compared to the previous year; applications to McGill University in Montreal jumped 30 percent; and those to the University of British Columbia in Vancouver increased by 25 percent, according to the authors. Canadian Prime Minister Justin Trudeau views immigrants as contributing to the growth of the Canadian economy, particularly in areas of technical innovation. “People choosing to move to a new place are self-selected to be ambitious, forward-thinking, brave and builders of a better future,” he stated in a recent account in TechCrunch. “For someone who chooses to do this to ensure their kids have a good life is a big step.” The Canadian perspective on innovation is helping to attract talent not only for the opportunity to conduct technical research but also to study “the consequences of AI, the consequences of automation,” Trudeau stated. French culture has a big impact on Montreal, expanding beyond the delis and coffee shops and into business life. Many of the larger businesses primarily speak French in the office and in many of the top universities, including the University of Montreal. The ability of Montreal’s universities and startups to attract capital from tech giants and investors has helped to cement its position. The ability of Montreal-based platform and incubator Element AI, to raise $102 million in a Series A round of investment in June 2017, was a tipping point. The firm’s mission is to lower the barrier to entry for commercial applications in AI by offering AI talent and resources to companies that need to supplement their own staffs. The round was led by Data Collective, which backs entrepreneurs applying deep learning technologies to transform giant industries, and included as partners Microsoft Ventures and NVIDIA. The Series A round came six months after Element AI announced a seed round from Microsoft Ventures (for an undisclosed amount) and eight months after the company launched. The firm’s approach is to build an “incubator” or “safe space” where companies that might sometimes compete, sit alongside each other and collaborate to build new products. Some believe this may be an industry first. Data Collective sees an opportunity to close the gap between the AI have and have-nots. Element AI foresees initial product pickup in areas of: predictive modeling, forecasting models for small data sets, conversational AI and natural language processing, aggregation techniques based on machine learning, reinforcement learning for physics-based motion control, statistical machine learning algorithms, voice recognition, fluid simulation and consumer engagement optimization. Element AI is not yet discussing customer engagements in depth, a spokesman told AI Trends, but they have signed up as customers the Port of Montreal, Radio-Canada (Canadian media company) and the Canadian Space Agency. According to a recent article in Fortune, the company sees an opportunity to embed itself in large organizations that may use Google for email and Amazon for web services, but are reluctant to give those companies access to internal databases with company-sensitive information. Element AI sees an opportunity to position as a more ethical AI company than those involved with military contracts and election influencers. The future looks good for AI innovation out of Montreal. Karam Thomas, founder and CEO of CognitiveChem, a company leveraging AI to help chemists develop safer chemicals, stated, “Montreal’s unique advantage lies in its collaborative research between academia, startups and corporations.” Montreal’s AI boosters are hoping that collaboration will spur more entrepreneurs to build sizable new companies. Next: A look at AI startups in Montreal.